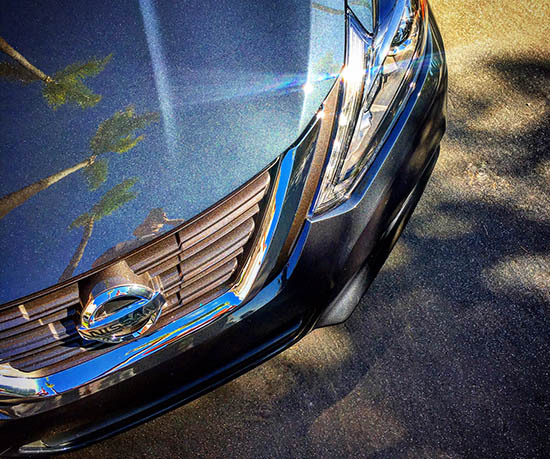 Burlappcar: Nissan Altima test drive coming up. Nissan sent me an Altima for the week. I did drive one about 3 years ago. So I'll see what's new. Besides the obvious: new front end design. My model is a pretty loaded SL model. With the popular 2.5 Liter engine. So expect reading a lot of comments explaining how Nissan is the "best car ever". Get ready for the Nissan nuts to come out. I'll be interested in your take on the Altima. I rent them all the time. Overall, they are fairly mediocre at everything. Definitely not very attractive, or attempting to be upscale at all. It is a matter of taste, of course, but I think it looks fine. The worst part so far is the weird super artificial steering feel. And the bump in the lower seat back. Otherwise, everything seems to work fine. Nothing outstanding, but nothing terrible. An ugly Nissan with garbage QC, garbage style... I'm shocked you even wanted to test drive it. You don't need to feed your Nissan haters with negative comments about people (like me) who think they make fine automobiles. By the way, their sales numbers back up that fact. Good looking sedan with a killer V6. I bet the 4 cylinder has some pep too. It is for the masses, except for those that drive Corollas and find it offensive. The 4-cylinder I rented and drove for a week had plenty of power, a really pleasant ride, lots of room, and returned almost 38 mpg.. much better than the scads of Fiestas, Sonics and Sentras I've rented previously. With the exception of Murano - Nissan is outclassed in every segment it competes. The only reason they sell is b/c of $'s on the hood; NOT because their products are class leading (for design, quality control, reliability or handling). People who buy them (from what I've seen) regret the purchase after 125,000km's - which is when they tend to fall apart.